Contrasting stitching on dark coffee brown leather gives this reclining sofa its sporty and welcoming look. Lay back and sink into the supportive, bucket-style seats for a nap or binge watch session. 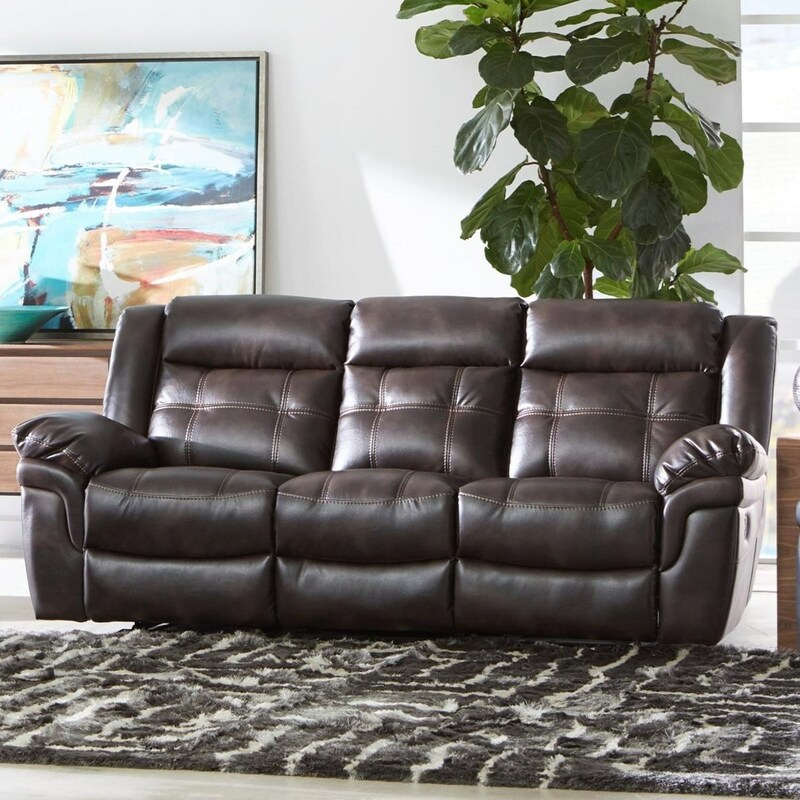 The 5700 Casual Reclining Sofa with Contrast Stitching by Cheers at Household Furniture in the El Paso & Horizon City, TX area. Product availability may vary. Contact us for the most current availability on this product.